I have been trying to clean out closets and cabinets….I dream of building a tiny house on a piece of land and getting rid of most of the things we own! In the midst of cleaning out a cabinet, I found a box of treasures from my childhood. I thought I had lost it during some previous move. 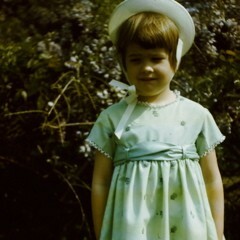 It doesn’t have much in it…a photo album with some very old photos, some newspaper clippings, a school keepsake folder that has an envelope for each grade and there are actually things in each envelope through grade six!, and a sweet tea set from when I was probably 7 or 8. In amongst these things, I found something that I did not even know I had. I don’t believe in the philosophy that “things work out like they are supposed to”…I think things work out the way they do and then we make all the other pieces of the puzzle fit…therefore, things work out…like they are supposed to? Anyway, I am not very spiritual either, or at least, I have never found a definition of “spiritual” that feels right to me. I have, however, found that some people have a way of making things work out. I have a friend that believes in the “put it into the universe” philosophy and I have seen things come to fruition right in front of her eyes using this philosophy. Every once in a while, when I really, really want something to happen, I try this philosophy out and sometimes it really works! 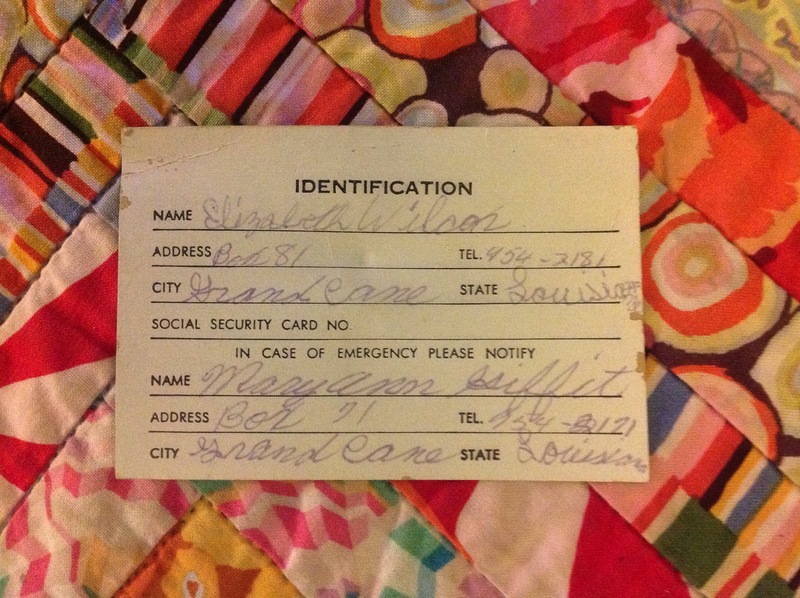 …one of the identification cards from an old billfold like I described in my last post!!!! LOOK! It is exactly like I described. So I had to share. (Although, I think those telephone numbers are bogus. I don’t remember ever having that phone number.) So did this work out like it was supposed to? Or did I put it into the universe?